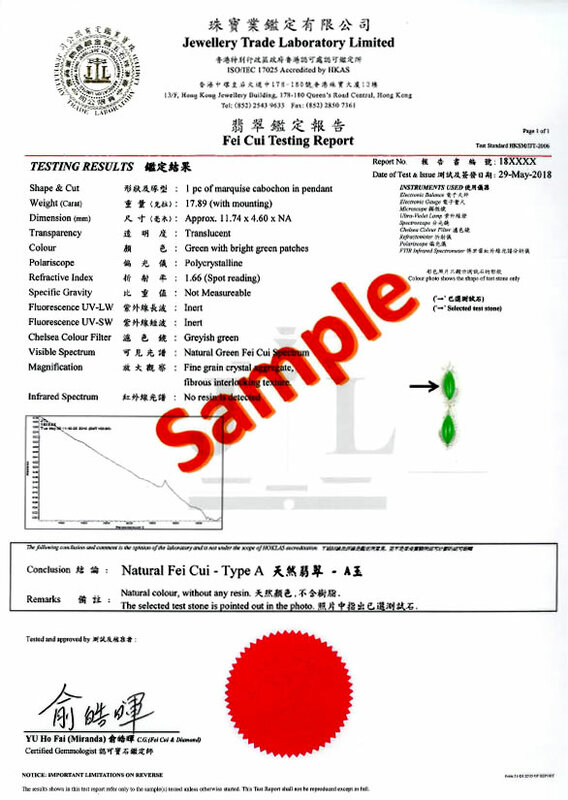 Founded by HKJGA in October 1995, Jewellery Trade Laboratory Limited is committed to strengthening customers’ confidence in jade articles by issuing jade testing reports and providing accreditation service for HKJGA members and industry players on a non-profit making basis. 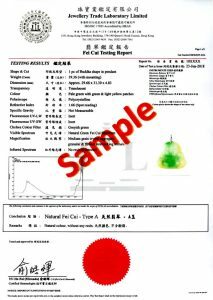 Issued by experienced gemologists, each Jade Testing Report includes a coloured photo of the tested article with detailed description of its shape, cutting, weight, dimension, colour and transparency. 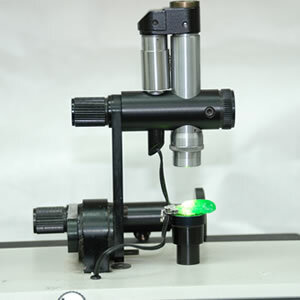 The data of the tested article will be obtained through a standardised accreditation process with the help of optical and physics-based devices, such as the refractometer, polariscope, hydrostatic balance, spectroscope, UV light and microscope. 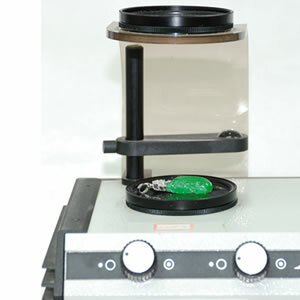 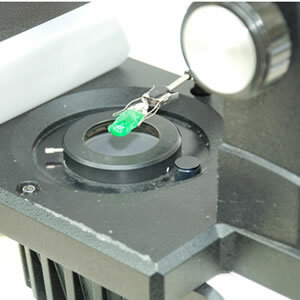 The data will then be analysed to confirm the authenticity and colour of the jadeite article, and an infrared spectrum examination will be carried out to determine if it is natural jadeite or treated jade containing resin. 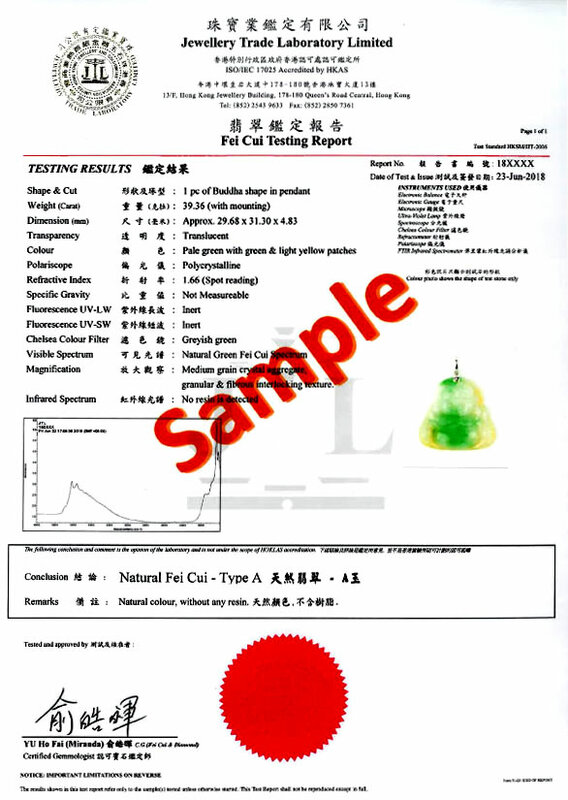 Jewellery Trade Laboratory Limited was recognised as an accredited laboratory under the Hong Kong Laboratory Accreditation Scheme (HOKLAS) by Hong Kong Accreditation Service (HKAS) in early 2006, ensuring that all jadeite identification reports issued fully comply with the international accreditation standards. 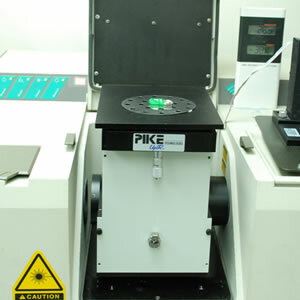 Each piece of testing jade to be identified by our laboratory should strictly follow HOKLAS ISO 17025 management system and technical requirements. 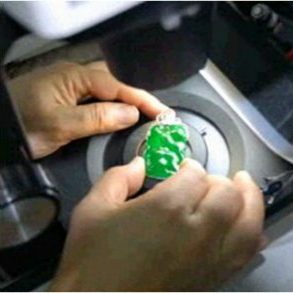 In order to ensure that the identification conclusions are justified and accurate, identification certificates would only be issued whenever the jade has passed the 13 traceable identification procedures. 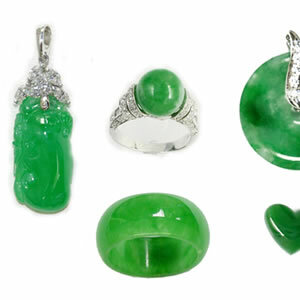 Natural jadeite is a hard, vividly coloured precious gem with a compact structure. 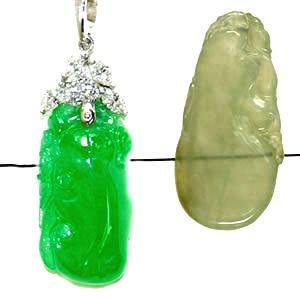 This highly praised and rare gemstone have been believed to be able to bring peace, good fortune and longevity to the wearers. 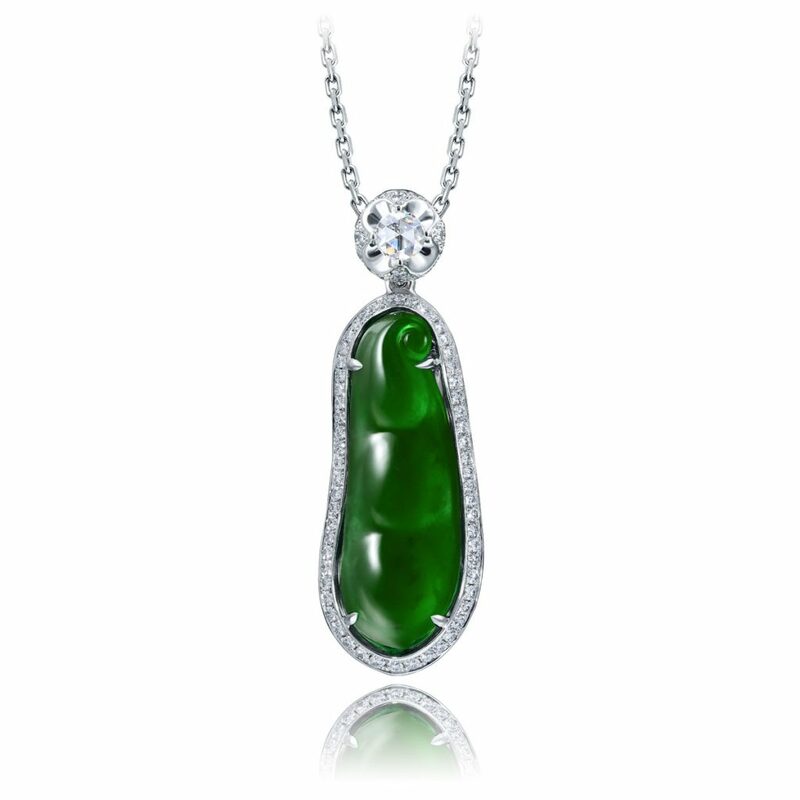 The impeccable durability also makes jadeite jewellery pieces the perfect heirlooms. 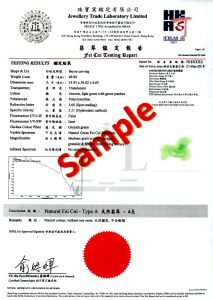 In 2005, HKJGA launched the “Natural Fei Cui Quality Mark” Scheme to maintain Hong Kong’s reputation as the shopping paradise with authentic goods and the hub of natural jadeite, strengthening customers’ confidence in jadeite articles sold in Hong Kong. 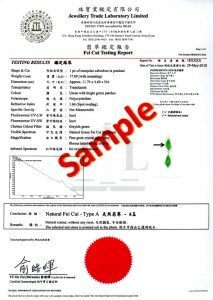 All participating merchants under the Scheme can only sell natural jadeite items, which will be tested by Jewellery Trade Laboratory Limited, the subsidiary of HKJGA. 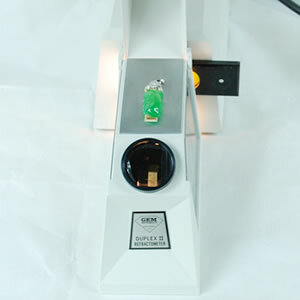 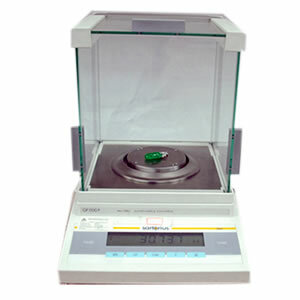 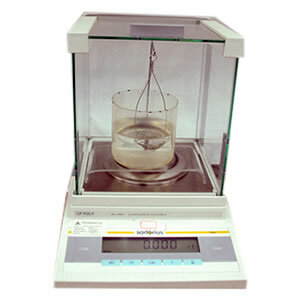 Sample collection and testing will be carried out irregularly at the premises of the merchants. 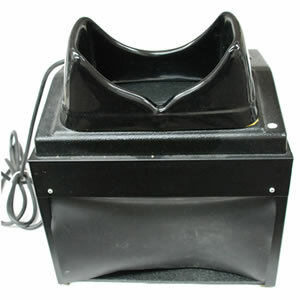 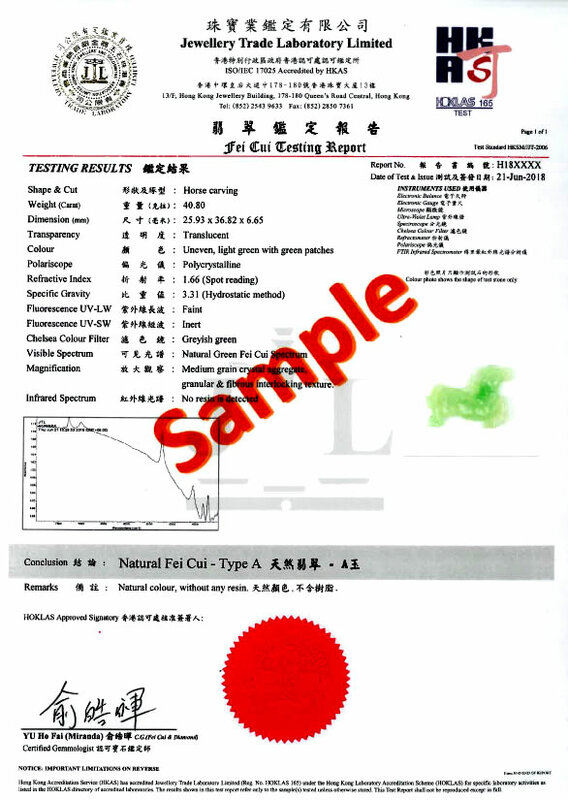 Those passing the test will be given a “Natural Fei Cui Quality Mark”. 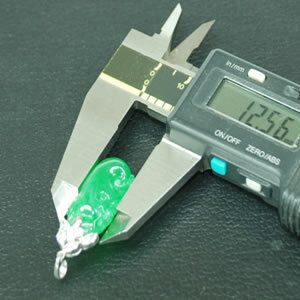 Consumers may file complaints to HKJGA by phone. 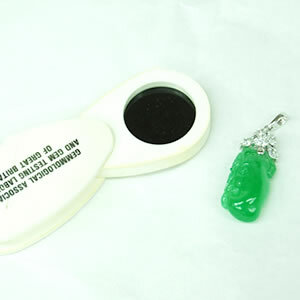 All charges and fees, including the testing fee, will be refunded if the participating merchants have been proven to be selling treated jadeite items.